Ultimate Facepalm 90: Godzilla remake, The Phantom Zone of Vaginas and just call it “Justice League” already! – Is watching Honey BooBoo grounds for leaving someone? – Batman vs. Superman; should they just call it “Justice League”? VERY French beginning to the show! But don’t let that stop you from listening! – Go get yourself a burrito…. But not between the hours of 3pm to 5pm! NERD NEWS at 1 hour 12 mins!!! – Comic-Con backpacks hurt my brain! 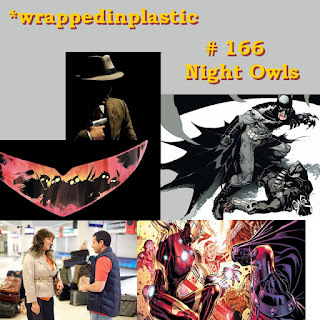 On this episode I talk new books, Night of the Owls and L.A. Noire.